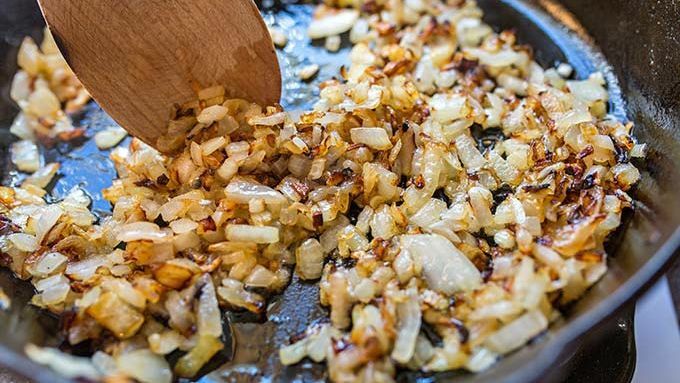 In a large skillet over medium heat, cook onion and butter, stirring every few minutes, until onion becomes golden brown and caramelize, about 15-20 minutes. Transfer caramelized onion to a large bowl. 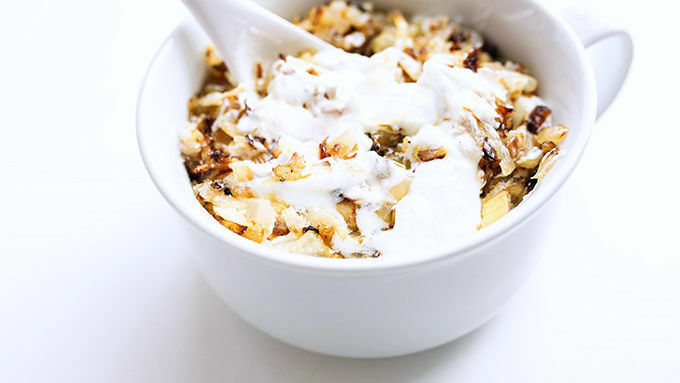 Stir in yogurt, sour cream and salt. Garnish with freshly ground pepper and chopped parsley. Serve with crackers or chips for dipping. 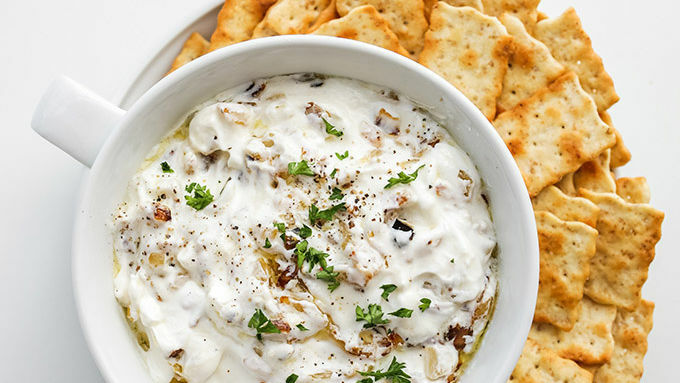 This quick dip is delicious. Not to mention, crazy easy. Whether you make it last-minute or put it on your party menu weeks in advance, this dip is divine. Hungry for more? Check out all of our dip recipes, from cheesy to chocolaty and everything in between. 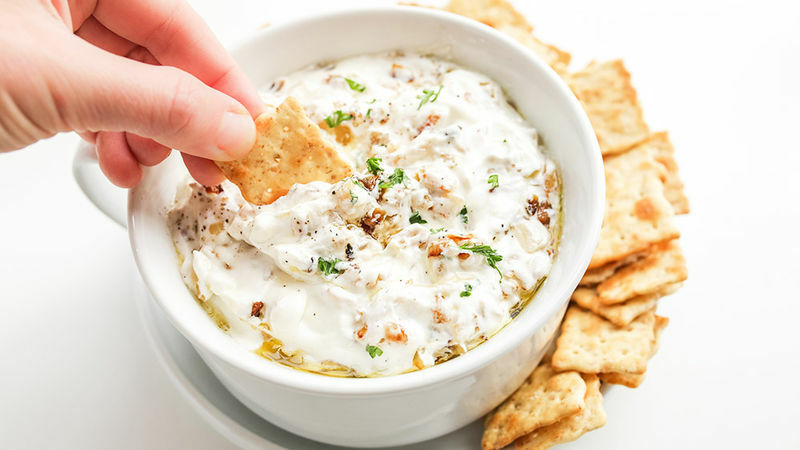 This quick dip is delicious. Not to mention, crazy easy. Whether you make it last-minute or put it on your party menu weeks in advance, this dip is divine. Hungry for more? Check out all of our dip recipes, from cheesy to chocolaty and everything in between. Want more face-meltingly simple eats? Head over to http://cheekykitchen.com,where Brooke shares food photography secrets and recipe shortcuts. She joined Tablespoon to share some of her best eats, so check Brooke's profile to catch her latest (and greatest) ideas.